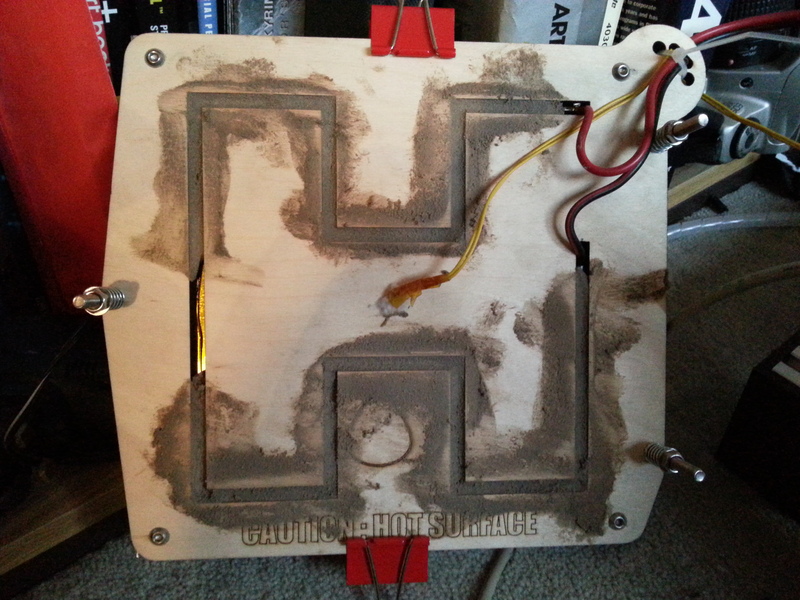 The heated bed is now complete! In my last update I was having issues with temperature readings. It turns out that the problem was the ply I used as an insulator. I cut the ply with a route for the nichrome wire to channel in and in the center is the thermistor. Because of the shape, a H shape, the ply had a defect that made the center bend away from the aluminium. As it done so it moved the thermistor away from the aluminium corrupting the reading. Also the nichrome wire was moving away from the bed causing hotspots where it burnt through the kapton tape. Fire cemented – little bit on the left is waiting to be filled, it is where the cramp was holding the H section tight to the aluminium. To solve both these problems I used fire cement to fill the grove with the nichrome wire firmly attached. This means that now the heating wire is secure and the ply is held in position. For the print surface I am using glass but it is borosilicate glass, from RepRapWorld.com. This glass apparently has a lower thermal expansion which, I believe, should reduce the likelihood of shattering due thermal shock. Given the low rates of heating and cooling I don’t think it would be likely occurrence, however I was ordering filament from them and it saves me getting glass cut to the right size and lets be honest “borosilicate” sounds cool! All I am waiting on now is the hotend from E3D before I have a fully working system. It was a four week waiting time, although it may be here earlier according to the thread in RepRap’s forums. Has it really been a year – already? Well according to my first tweet on this day last year it is! 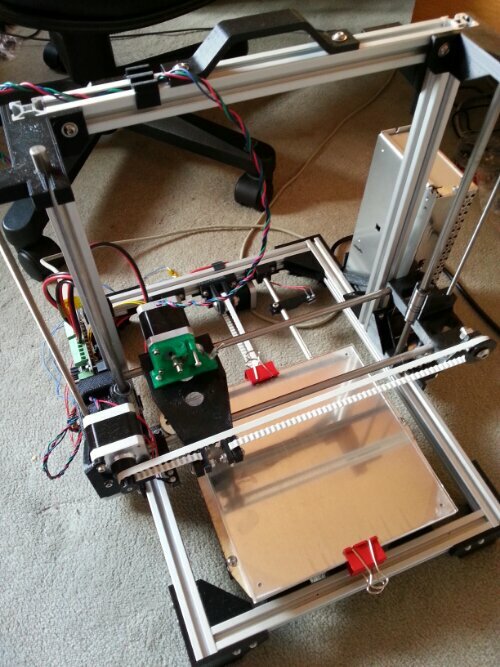 I remember being introduced to the RepRap project a few years ago. The printer at the time was Darwin. I absolutely loved the idea of it – but the machine was a bit of a monster. Not only did it look huge and complicated – it also had a bit of a ‘bodge job’ electronics solution. When I read up on making the printer the electronics were the most confusing – seeming to take several different boards and then modify them for this application. A far cry from the need single board solutions we have at the moment. The second iteration of the RapRap was Mendel – a far less cumbersome looking machine. This was then modified further into the Prusa Mendel. This basically looked like the Mendel but was easier to build. Since then there has been the Huxley, Prusa Air, Mendel Max and the Wallace to name a few. That doesn’t even take into account the other more commercial machines like the Thing-O-Matic or the UP!. So in this year I have gone through over 4kg of filament (although about 750g is waiting for the Filabot so I can recycle it) – I’ve had to repair the printer several times (3 times for the heated bed!) and changed or upgraded several parts of the machine. Overall it has been a great experience and being able to have an idea and a few hours later have the item in my hand is great. Thing of the Moment is where I find something of interest to print, either useful or fun! Think of a 3D printer and you will probably think of it having 3 linear axis’ x (left/right) , y (forward/back) and z (up/down) . When you want to move in one direction you move the axis that way. 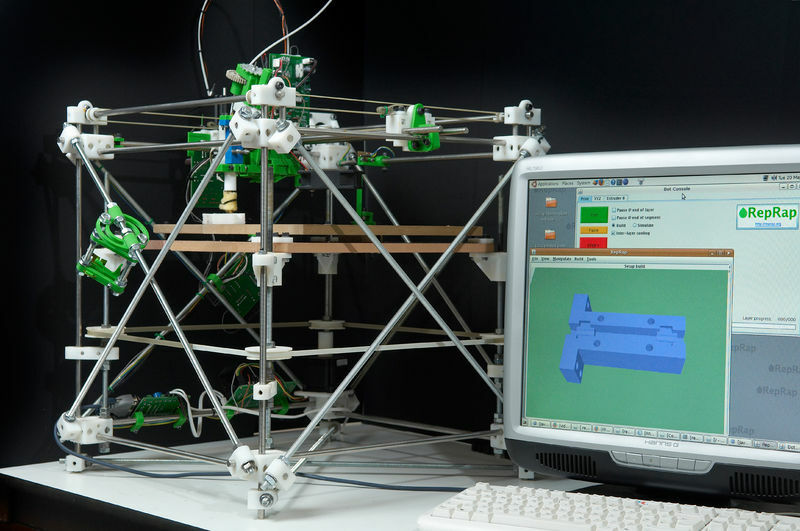 It’s simple and it works – which is why all the 3D printers I have seen operate in that way. But does it have to be that way? The answer would seem to be – no. Step in Rostock. So why is it that not all printers are made this way? Well reading up it seems that geometry calculations needed to move the head even in a simple line are complicated. However this method does reduce the number of parts the printer is made from – about 200. It should be easier to build as well. The most problematic part of my 3D Printing experience has been the hot end assembly. I have had it jam, the fan stop working and the Bowden tube pop out of more than one occasion. Today I am trying to find the fault in the hot end again. I have been trying to print some items for a company (my first commission!) and there is one part of it that starts to print and about half way through the hot end appears to jam and then the Bowden tube pops off. At first I thought it was the connector – I have had problems with that before. So I replaced it. Started the print up again and the same thing happens. Could it be that something is blocking the nozzle – I ask myself. 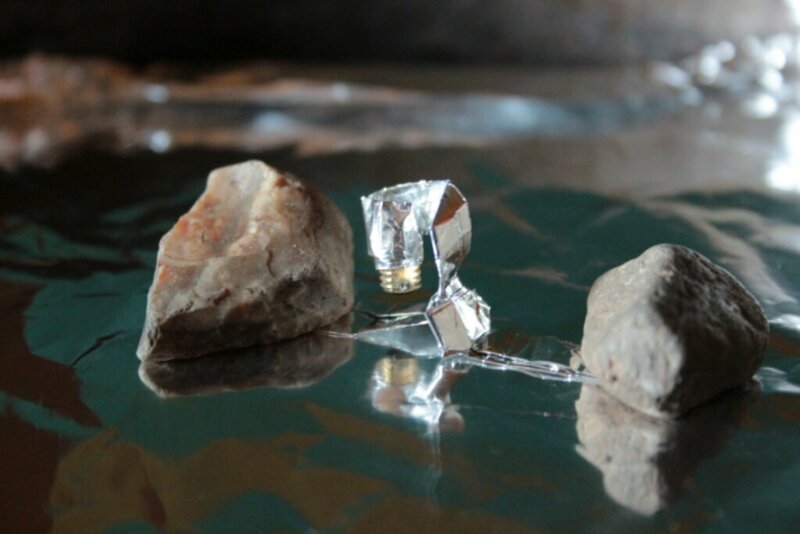 To find out if have removed the nozzle, rigged up a simple aluminium foil holder and baked it at 210C for 20 minutes. Unfortunately that didn’t work. I resorted to a combination of heating with the gas stove, using a 1.7mm drill bit to push the remaining PLA through and then a 0.5mm bit to clean out the nozzle. I also used the larger drill bit to clean out the connector as well. Another thought occurred to me, what if it wasn’t the nozzle at all, what if it was the print it had been doing? I had been using Slic3r to produce the gcode, something I noticed was the large number of retracts it was doing as it infilled. In this image you can see the infill but the greenish colour is where it moves without extruding – you can see there are loads of them – and every time it doesn’t extrude while moving is another retraction. So I switched back to Skeinforge. It had done a better infill without the retraction and also I didn’t have the jamming either. I have reported my findings into the Github for Slic3r, I hope it is something that can be fixed. And no sooner had I reported the problem then it had been sorted! Just have to wait for the next pre-compiled build to be released. 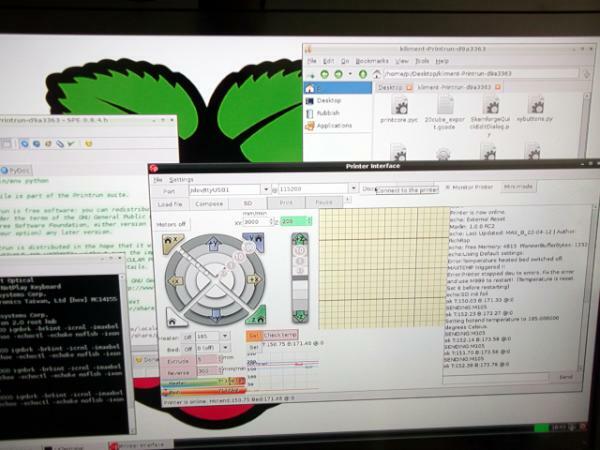 Yesterday master 3D Thingsmith RichRap posted a tweet that he had got Printrun working on his Raspberry Pi. 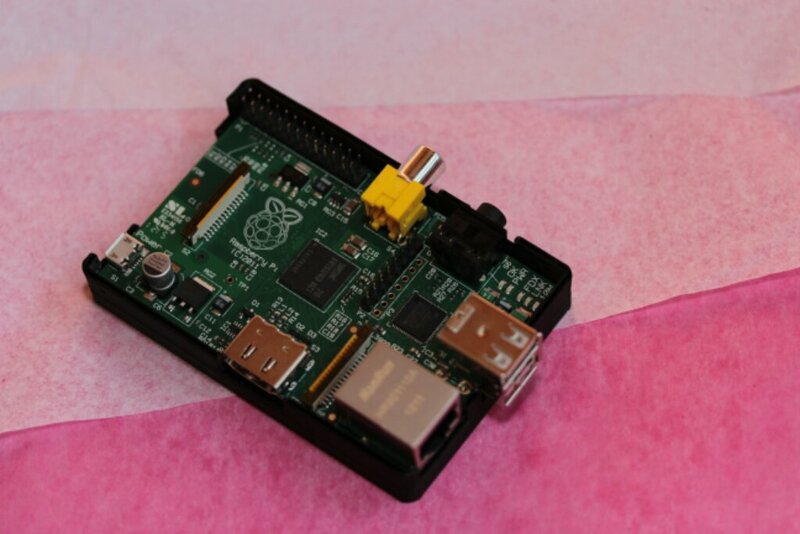 For those who don’t know the Raspberry Pi is a single board computer based around an ARM processor and Linux and is very cheap – about $35. Mainly it was designed to try and get programming of computers back into UK schools – something that has dropped off in favour of just using software. Why is this event remotely interesting? For me it is being able to fully control my Huxley without having to have my main computer running, consuming a maximum on 7 watts rather than a minimum of 120 watts! 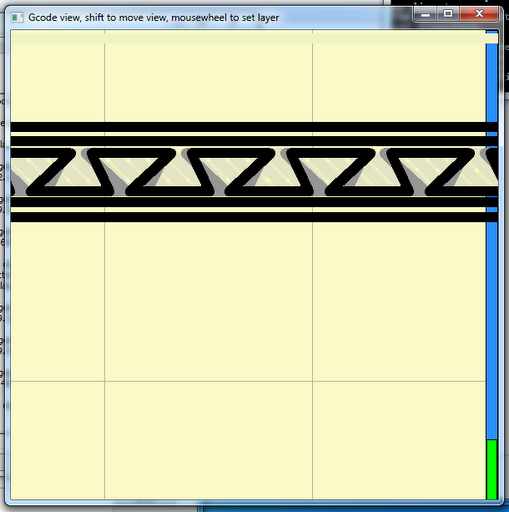 The more interesting thing is if RichRap has the slicing software going to. To be honest it would be painfully slow, unless somehow it used the GPU to help with the computing – and that is unlikely! 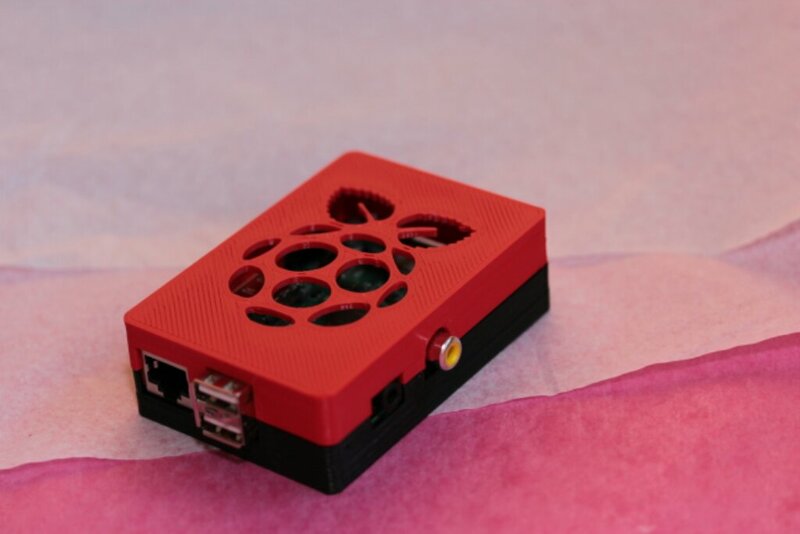 RichRap has said that he will be putting a blog post up on how he done it – allowing anyone with a Pi to be able to follow. Once they are up I will attempt it myself and report back! On Saturday I finally got my hands on a RaspberryPi. Having played with it for a bit I can see it will have an uphill climb. However one thing it does need is a case. 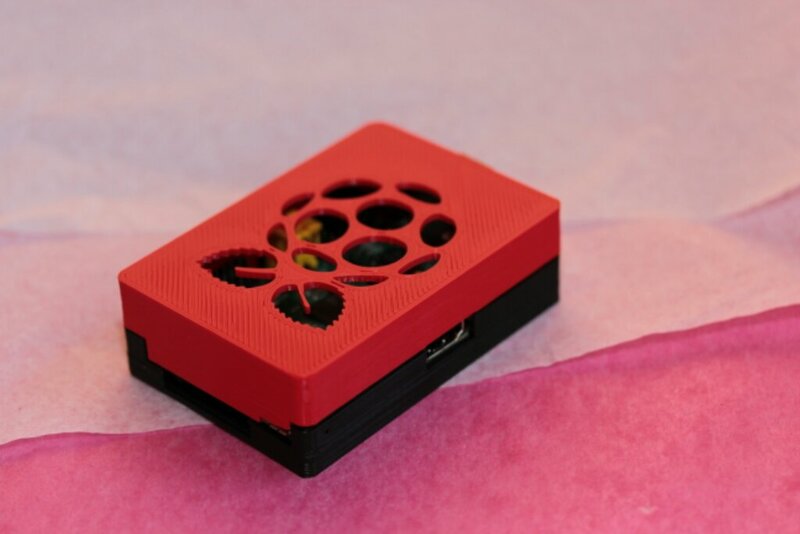 Popping in ‘raspberry’ as a search on Thingiverse brought up a number of options. Looking through I settled on the case by HansH. Part of the reason I went for this is the case is designed in two parts and you have a selection. 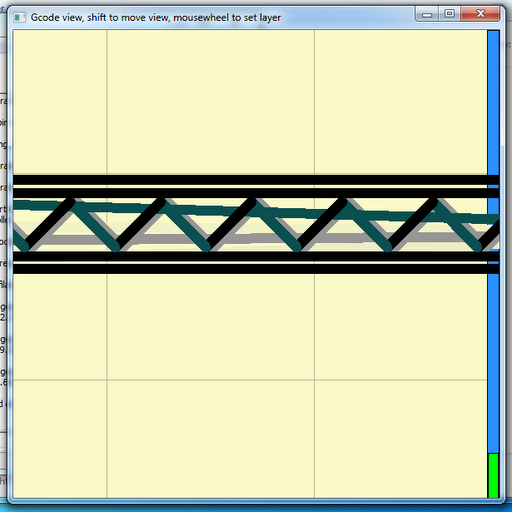 Also it is made in openSCAD so it should possible to modify for your own tastes. I just picked a base and a top with a raspberry in. According to Slic3r I would have to use about 6m of filament. I have been trying to use up the remnants I have had laying around so printed the base in black and lid in red. The parts clip together nicely without fittings. It has gone together nicely, I have had to adjust some of the ports to get access fully and to make it close. That said it is a great looking case and works really well. Greetings to you and welcome to my blog. I plan to write up about my experiences with 3D printing, review open-source hardware and software and products that I have purchased. I hope that it will be interesting for you to read, maybe even encourage some to get into 3D printing as well!